Wash your hands before applying this medication. Gently clean the affected skin with a mild or soapless cleanser and pat dry. Use your fingertips to apply a small amount of medication in a thin layer, usually once daily at bedtime, or as directed by your doctor. 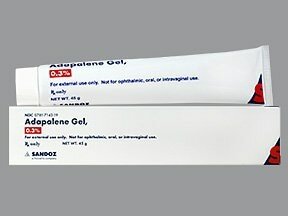 Use this medication on the skin only. Do not apply to the inner lip area or inside the nose/mouth. 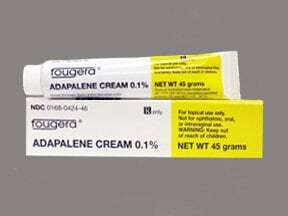 Do not apply to cut, scraped, sunburned, or skin affected by eczema (a skin disease). 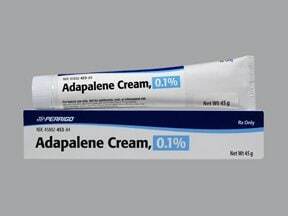 During the first few weeks of using adapalene, your acne might appear worse because the medication is working on pimples forming inside the skin. It may take up to 8-12 weeks to notice results from this medication. Use it regularly in order to get the most benefit from it. To help you remember, use it at the same time each day. Do not use a larger amount or use it more often than recommended. Your skin will not improve any faster, and it will increase the risk of developing redness, peeling and pain. 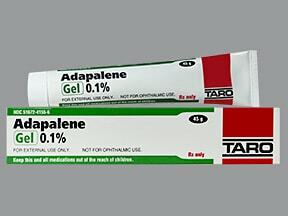 This medication is available in different strengths and forms (such as gel, cream, lotion). The best type of medication for you to use will depend on the condition of your skin and your response to therapy. Tell your doctor if your condition lasts or gets worse. 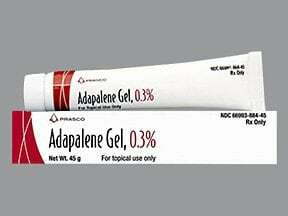 What conditions does Adapalene Gel treat? Tell your doctor right away if any of these unlikely but serious side effects occur: very red/irritated skin, an intense burning sensation, eye redness and watering (conjunctivitis), eyelid swelling, skin discoloration. 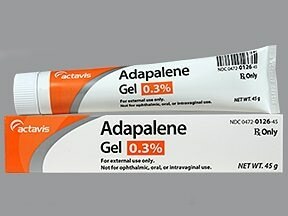 List Adapalene Gel side effects by likelihood and severity. 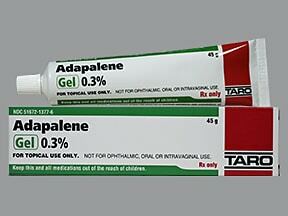 What should I know regarding pregnancy, nursing and administering Adapalene Gel to children or the elderly? Some products that may interact with this drug include: products containing alpha hydroxy acids, products containing glycolic acid, hair perming solutions, alcohol/lime/menthol-containing products (such as astringents, toners, shaving lotions), medicated or abrasive soaps and cleansers, soaps and cosmetics with a strong drying effect. Do not flush medications down the toilet or pour them into a drain unless instructed to do so. Properly discard this product when it is expired or no longer needed. Consult your pharmacist or local waste disposal company for more details about how to safely discard your product.Information last revised March 2017. 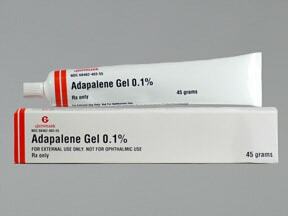 Copyright(c) 2017 First Databank, Inc.
Are you taking Adapalene Gel? 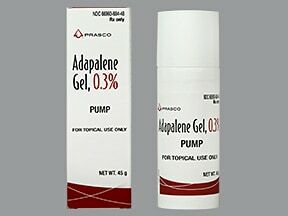 Are you considering switching to Adapalene Gel? 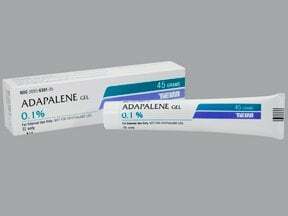 How long have you been taking Adapalene Gel?